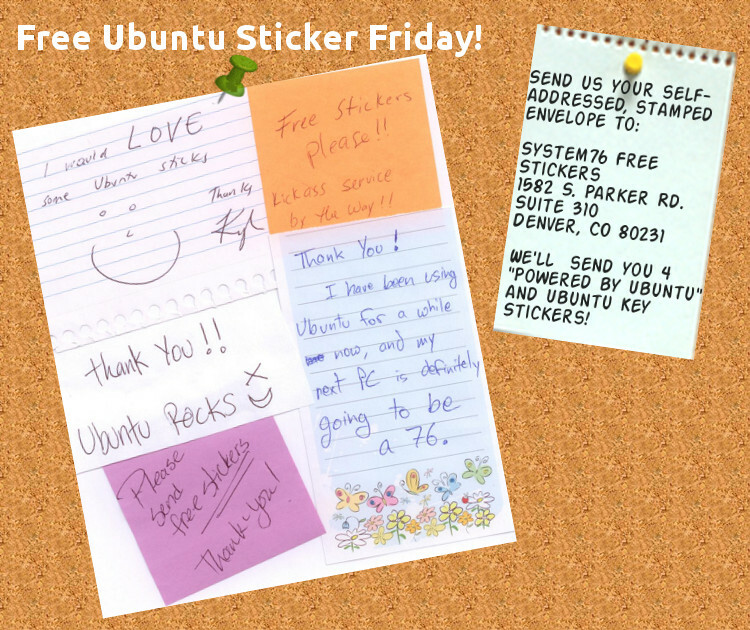 These free Ubuntu Sticker Fridays keep me busy! We promote Ubuntu by helping people brag about their OS with free "powered by Ubuntu" and Ubuntu Key Stickers. Anyone in the U.S. can send us their self-addressed, stamped envelope, and I'll personally send you 4 of each sticker so you can share with your friends. I filled 17 of these requests yesterday! My favorite part is opening the letter to a cute picture or happy note. I received the ones below yesterday. Are you outside the U.S. but want to receive some free stickers? That's OK! We provide the free sticker materials to more than a dozen LoCo volunteers across the country. You can search for yours on our System76 community page.